Multimeters are available in both analog and digital formats and is a diagnostic tool used to measure electrical properties. The three most likely things that you might measure with a multimeter would be AC or DC voltage, resistance, or current. The best automotive multimeter is the Fluke 87-V, which is safety rated at CAT III 1000V, CAT IV 600V and suitable for testing alternator diodes, duty cycle, solenoids, breaker points, wiring, switches, and more. Multimeters take the properties of an ammeter, an ohmmeter and a voltmeter and rolls them into one. They are commonly used to detect potential malfunctions with your car battery, electrical gremlins and pinpoint the exact cause of those issues. If you are an amateur or professional mechanic, a vital tool for diagnosing an electrical fault in a car is an automotive multimeter. The latest multimeters on the market can even connect to a smartphone for other forms of data on top of real time data. A digital automotive multimeter is the better buy compared to an analogue alternative. This is because an analogue multimeter has a lower input impedance and are often limited to amp, ohms and volt readings. Digital multimeters provide crucial details that can lead to solving all of your electrical issues on your vehicle. Below is a list of the best automotive multimeters that can display real time data readouts in a range of formats and measurements. The Fluke 87v is the ultimate multimeter and comes at a premium price. For the price you pay, you have an intuitive digital readout screen as well as a clever warning system that warns the user when the input jacks are incorrect. For some units, you may have to set the range at wish you want to test but the Fluke 87v has an auto ranging setting where it takes care of the work as far as selecting the range. If you are a beginner with automotive electrical diagnosis, then the Fluke87v has many useful features for ease of use. It has been designed to specifically handle complex signals from industrial to automotive use. The Fluke 87v also include a temperature readings function that will make your toolbox that much lighter as you will not need additional equipment. The Fluke 87v also features a Selectable Filter and True-RMS AC Voltage for Dependable Accuracy that other cheaper models will not be able to match. The Innova 3340 is a popular unit across the US that is designed specifically for automotive use without a large price tag. One of the best features on this multimeter in my eyes is the probe holders that comes with it. The probe holders allow you to do hands free testing on components, which is much easier and of course safer. As with the Fluke model, this also has an auto ranging feature that takes the stress out of figuring the range required as well as featuring a temperature probe. The importance of this temperature probe ensures that the electrical components are running at the optimum temperatures for use. For testing alternator diodes, duty cycle, solenoids, breaker points, wiring, switches, and more, the Innova 3340 is the best automotive multimeter for the money and is more affordable option to the Fluke 87v. Another unit from Innova is the 3320 model that is the cheapest digital multimeter you can buy today with all the features required. For using on your car to around the house, the UL Certified multimeter is the affordable option to buy. Featuring the auto ranging functionality, there is no need to manual set the correct range for testing, which for a cheap multimeter is quite impressive. The test leads that come with this unit are detachable and attachable that allows you to switch things up if needed. For basic functionalities such as testing car batteries, general household electrics and small electronics, this multimeter is the best for very little money. The AM-510 is a lightweight advanced multimeter with an auto ranging meter that is excellent for measuring voltage, resistance, capacitance, frequency and more. Whether you are testing electrics on your vehicle or household electrics, this compact multimeter has all the features. The AM-510 has a digital readout that is displayed on the LCD screen that is clearly visible within low light situations. If you find yourself in these scenarios, there is a built-in flash light you can use to allow you to see the electrical components easier. For testing car batteries, there is a dedicated feature that checks the amount of charge remaining in 1.5v and 9v batteries which is a great feature. The list of features available on the Amprobe AM-510 is too much to list and is a great multimeter for beginners to advanced auto electricians. The ESI 585K Deluxe is another dedicated automotive multimeter that has an impressive 45 test ranges, 14 test functions and a dual fuse protection with built in tilt stands. The display itself is both analog bar graph and digital readings to provide all users with their favorite way of viewing data. It is a professional electric testing tool that is ideal for car engines, computers and other components with electrical glitches. It doesn’t have the price tag of the Fluke model but certainly has features that makes it great value for money. Every multimeter is different and there are some important features to look out for in order to find the best one for your individual needs with your multimeter. First, one of the biggest choices you will have to make with your multimeter is whether to buy a digital version or an analog version. The digital variant will feature an LCD screen and will also probably automate a lot of the other tasks involved with using a multimeter. For example, in many different tests you can do with your device, you will have to choose the correct range to test for, whether that be voltage, ohms, or anything else you might be testing. The digital version of the mutlimeter will most likely choose the range for you. The digital version will also give you a number read out for your test, and is just overall simpler to use. However, an analog version is a good choice for those who may want to do those things by themselves. If you want to be responsible for setting your ranges and interpreting results of your tests by yourself, then perhaps the analog version of a multimeter would be the better choice for you. Another great feature to look out for is rubber guards around the edges of the device. This could be very important in terms of safety, and can help mitigate any possible risk of being electrocuted when using it. You will also want to try and look for one that tests for both AC and DC voltage. While most things around the house and in your car will probably run on DC, it is still a good idea to find a multimeter that can test for both just in case you do come across something that runs on AC. Lastly, you will want to find a devicethat has a high resolution. 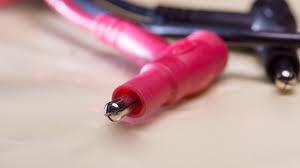 Resolution is the degree of sensitivity to which your multimeter can measure things. So, you will want one with higher resolution in order to make sure that your measurements are as precise and accurate as possible. Looking for the best multimeter for your needs can often be a daunting task to those who do not know what to look for. An automotive multimeter could be used for three primary purposes. The most common reason to use a multimeter would be to test continuity. The Continuity testing will tell the user whether parts of the car are continuous, and thus whether or not an electrical current can flow from one end to the other. If there is no continuity, you will know there is a break somewhere in the circuit and the part likely needs to be replaced. You can also use your multimeter to measure resistance in parts of your car, like the fuses, sensors and ignition coils. Measuring resistance can help determine whether a part like a headlight, for example, needs to be replaced. The third use is to measure voltage within parts of a car. As you probably already know, heavy bass subwoofers and powerful amps will require a certain amount of voltage to work, otherwise your whole speaker system will not work. In the automotive world, having the correct tools to diagnose problems makes things much easier. Even the best automotive scanners may miss many electrical issues that multimeters will find in seconds. 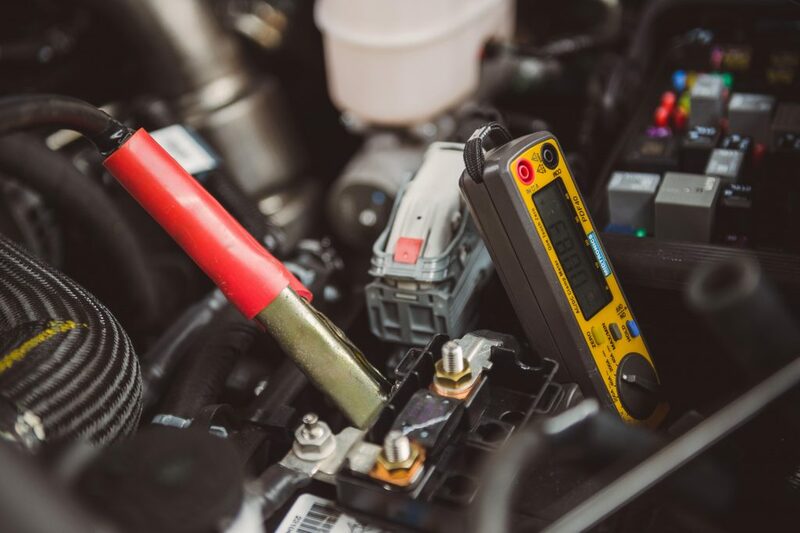 In all tests with your multimeter, you will first want to make sure there is no current running through whatever component of your car you are testing. This is a safety measure to make sure that you do not get electrocuted in the process of your testing. In order to test continuity, you will want to first switch the dial on your multimeter to continuity test mode. Then, you will need to plug your probes into the hole they fit into, known as the ports. Finally, you will need to put one of your probes on each end of whatever component you are testing for continuity. 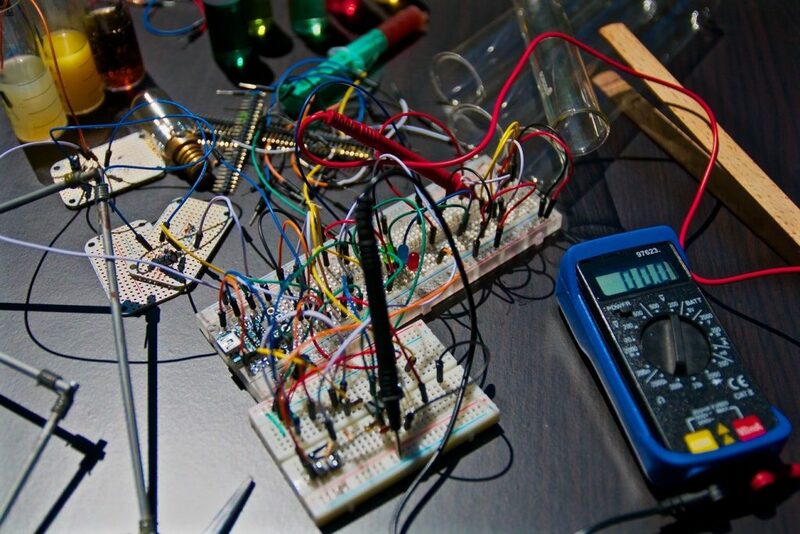 The probes work by sending an electric current through the component, so if your circuit you are testing is, in fact, continuous the digital readout will say 0 and your multimeter will emit a beeping sound. If the circuit is not continuous, the display will show either a 1 or OL for “open loop”, meaning that something is wrong and you might have to get the component fixed. For testing for resistance, we will skip the step of plugging your probes back in, as we will assume that you have left them in from the last test. You will need to switch your multimeter to the resistance setting. You will then need to set the range of resistance you want to test for, and if you are not sure just use the highest setting because you can always adjust it later. Then, simply test the component you need to test by placing one probe on each end. If the readout on your multimeter does not say anything, set the range to a lower setting because that probably means it is too high. Adjust the range until you find a range where you actually get a readout. If you always get a 0 on your readout or OL, it probably means your component has no resistance. Repeat this same process with testing for voltage. Simply put one probe on each end of the component you are testing and wait for the readout. Adjust the voltage range on the multimeter if necessary, and you will then have effectively used your multimeter to test for all three major things the tool can test for. You are going to want to look for a multimeter that give you the ability to test for a variety of different voltage ranges. Not all multimeters come with this ability, so make sure you find one that does. Without the ability to test multiple ranges of voltages, you may not get accurate readouts on the things that you test. For example, if you are testing a component that features a voltage you do not have the ability to test for on your multimeter, you may get a negative readout from that test when the component is not actually broken. Another feature you might want on your multimeter is the ability to measure both AC and DC voltages. While most products will probably run on DC voltage, it is important to be able to measure AC as well just to have all of your bases covered. Again, not having this feature could lead to bad readouts on your tests. Finally, you will want a multimeter with the ability to measure ohms. Some multimeters will only have the ability to do a simple continuity test rather than actually measuring ohms, but you may want to spend a few extra dollars and just get one that does everything and measures ohms.